Children obey your parents in everything, for this pleases the Lord. Discipline your son and he will give you peace; he will bring delight to your soul. Stacey Watts began Happily Parenting in 2012 as a certified parenting coach. She is currently the Administrator and Dean of Coaches for the John Rosemond Leadership Parenting Institute. Stacey holds a Master's Degree in Early Childhood Education from the University of South Carolina and has taught Preschool through third grade in both public and private settings for over 16 years. She was the owner and co-director at Miss Debbie's Nursery School, Inc., for twelve of the thirty four years of this family-run operation. 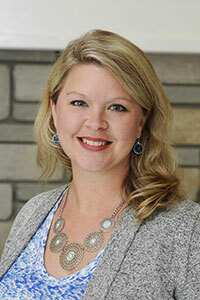 Stacey is an active member of the SC Early Childhood Association and serves on the Education Committee in her church. Through her company Happily Parenting, Stacey speaks to churches, public and private school settings, and child care centers with a very comedic yet infomative approach. She trains staff groups and parent organizations on a variety of topics. Stacey is also a registered trainer for the South Carolina DSS Center for Childcare Career Development. Along with group training sessions, she also provides private coaching for individual families. "Stacey's no-nonsense, yet easy-going style is making her a sought-after parenting speaker and coach. She advocates a Biblical approach to raising capable, respectful adults — and after hearing her speak, you may just realize that you can enjoy the parenting journey!" 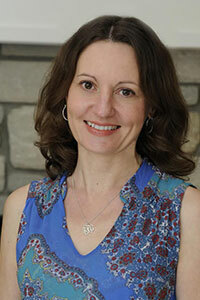 Andrea Fuller holds a Bachelor of Arts degree in English with a minor in Psychology. Prior to becoming the Program Director at Happily Parenting in January of 2014, she worked for a non-profit organization dedicated to improving the quality of health care for older adults in South Carolina. "Andrea is on the ball, extremely helpful and makes the process a breeze by listening to our needs and offering great suggestions to make it even better!" "Planning and booking with Happily Parenting is super easy and efficient with Andrea! She is dependable and responds promptly to any questions. After having met her in person, I know her passion for the Lord and families are what drives her! She is a blessing to work with!" See our calendar for upcoming events near you! Contact Andrea to book your next event! Call 803-309-3798 or email afuller@happilyparenting.com for more information.